John C. Scott is chief operating officer and cofounder of APTMetrics, Inc., a global human resource consulting firm that designs sophisticated talent management solutions for Fortune 100 companies and market innovators. He is coeditor of The Human Resources ProgramEvaluation Handbook and coauthor of Evaluating Human Resources Programs: A Six-Phase Approach for Optimizing Performance. Douglas H. Reynolds is vice president of assessment technology at Development Dimensions International, where he leads the development and deployment of assessment and testing products. Recently Doug coauthored Online Recruiting and Selection, a book on the integration of technology with personnel selection practices. Foreword (Allan H. Church, Janine Waclawski). Preface (John C. Scott, Douglas H. Reynolds). A Call to Action: Where are the Practical, Proven Assessment Tools? (Judith L. Komaki). Part One: Framework for Organizational Assessment. 1. Individual Differences that Influence Performance and Effectiveness: What Should We Assess? (Kevin R. Murphy). 2. Indicators of Quality Assessment (Fritz Drasgow, Christopher D. Nye, Louis Tay). 3. General Cognitive Ability (Michael A. McDaniel, George C. Banks). 4. Personality (Robert Hogan, Robert B. Kaiser). 5. Background and Experience (Leaetta M. Hough). 6. Knowledge and Skill (Teresa L. Russell). 7. Physical Performance (Deborah L Gebhardt and Todd A. Baker). 8. Competencies, Job Analysis, and the Next Generation of Modeling (Jeffery S. Schippmann). Part Two: Assessment for Selection, Promotion and Development. 9. Assessment for Technical Jobs (Wanda J. Campbell). 10. Assessment for Administrative and Professional Jobs (Lia L. Meyer, Rodney A. McCloy, and Deborah L. Whetzel). 11. Assessment for Sales Positions (Steven H. Brown). 12. Assessment for Supervisory and Early Leadership Roles (Mark J. Schmit and Jill M. Strange). 13. 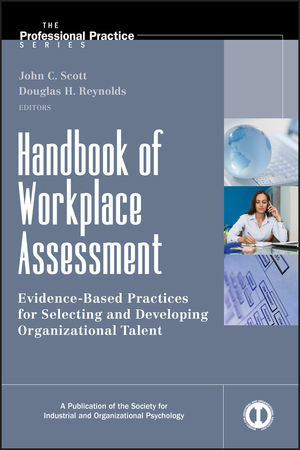 Executive and Managerial Assessment (Ann Howard and James N. Thomas). 14. The Special Case of Public Sector Police and Fire Selection (Gerald V. Barrett, Dennis Doverspike, & Candice M. Young). Part Three: Strategic Assessment Programs. 15. The Role of Assessment in Succession Management (Matthew J. Paese). 16. Assessing the Potential of Individuals: The Prediction of Future Behavior (Rob Silzer and Sandra Davis). 17. Assessment for Organizational Change: Mergers, Restructuring and Downsizing (John C. Scott and Kenneth Pearlman). 18. Global Applications of Assessment (Ann Marie Ryan and Nancy T. Tippins). Part Four: Advances, Trends and Issues. 19. Advances in Technology-Facilitated Assessment (Douglas H. Reynolds and Deborah E. Rupp). 20. The Legal Environment for Assessment (R. Lawrence Ashe, Jr. and Kathleen K. Lundquist). 21. Validation Strategies (S. Morton McPhail and Damian J. Stelly). 22. Addressing the Flaws in our Assessment Decisions (James Outtz). 23. Strategic Evaluation of the Workplace Assessment Program (E. Jane Davidson). 24. Concluding Thoughts (Paul R. Sackett).